Xing Ren goes home to spend some time with Mama Shen before she leaves for New York. Of course Mama Shen’s Zi Qi tags along, and the three of them enjoy a family dinner together. Afterwards, Xing Ren and Zi Qi sit on the steps outside her home and chat about their career and time together. Xing snuggles on Zi Qi’s shoulder, while he gives her a kiss on the forehead. 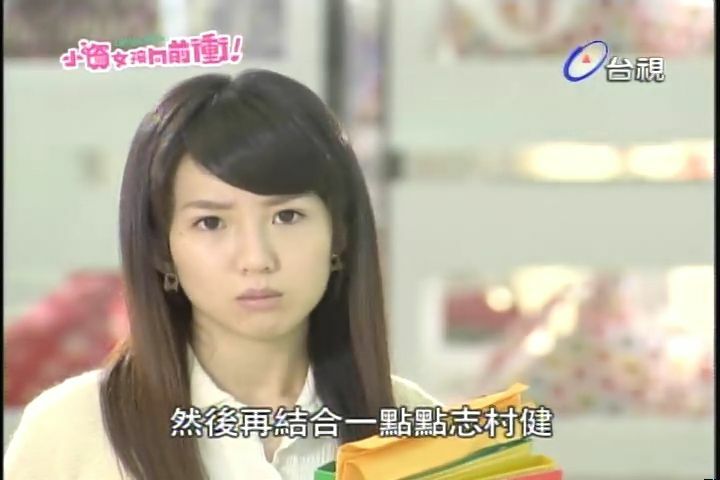 Too bad the witch calls and uses a work-related matter to lure Zi Qi back to work. Xing Ren’s makes him go despite his reluctance to go since Xing Ren is leaving for New York tomorrow. Zi Qi vows to come back tomorrow in time to see her off. Zi Qi goes back to work and Kai Er manages to slip one of her earrings into his suit pocket when he goes to get some refreshment. God I loathe her. 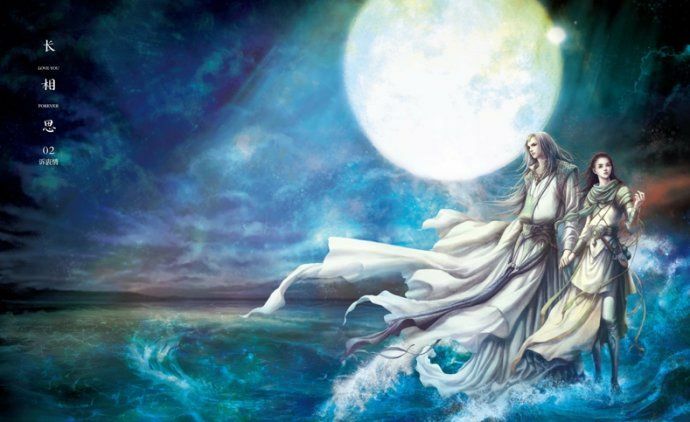 The next morning, Xing Ren leaves with Yu Cheng Feng and Mina despite Zi Qi not making it back in time. Zi Qi arrives back at the house to find Mama Shen collapsed the ground. Zi Qi rushes Mama to the hospital and calls Xing Ren who is still en route to the airport. Xing Ren scraps her New York plans and rushes to the hospital, where the doctor says Mama needs immediate surgery but it’s for a curable stomach ailment. Mama cries, relieved she’s not going to die. Zi Qi comforts Xing Ren, telling her that he’ll be there for her, and that other opportunities will come her way. Zi Qi’s performance at work gets him noticed and he gets a promotion. Xing Ren takes Zi Qi out to dinner, promising a great view. Turns out they are eating on the street outside the Taipei 101 where Xing Ren says the view is the best. President Qin finds out Zi Qi is dating Xing Ren and asks for her dossier. Kai Er tells Xing Ren that she’s missing one earring. President Qin asks to meet with Xing Ren personally, and listens to her suggestion on how to improve the shopping experience during the holidays for shoppers. Zi Qi tries to find what what his dad spoke with Xing Ren about and is relieved it’s only about work. Afterwards, President Qin is speaking to the VP of HR when suddenly they are both alarmed to hear that someone is back in town. Xing Ren walks into Zi Qi’s apartment to find him sprawled on the sofa passed out. He complains about working so hard during the holiday season. She offers to wash his clothes. 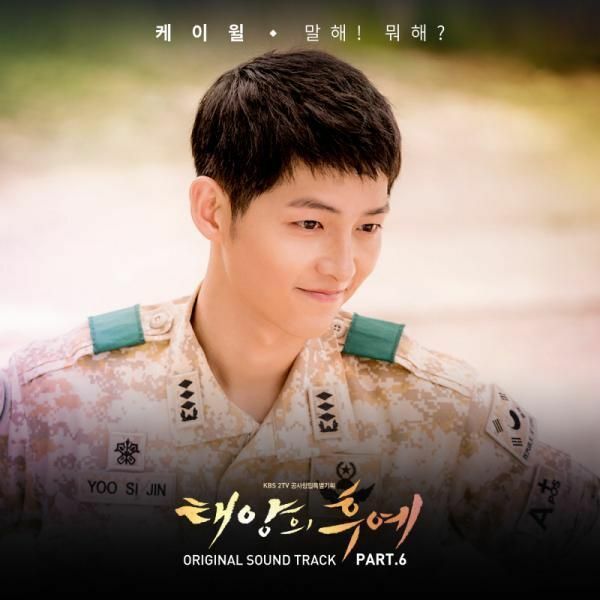 He demurs and then playfully accepts. When she gets up to leave, he makes robot noises to ask for a parting kiss, so Xing Ren playfully says “chuuuu mi” and then leaves. Kai Er asks Zi Qi to set her up with one of his well off friends. Le Le sees them talking and looks terribly displeased. Zi Qi plays video games with Bao Luo and plans to set him up with Kai Er. Poor Bao Luo. 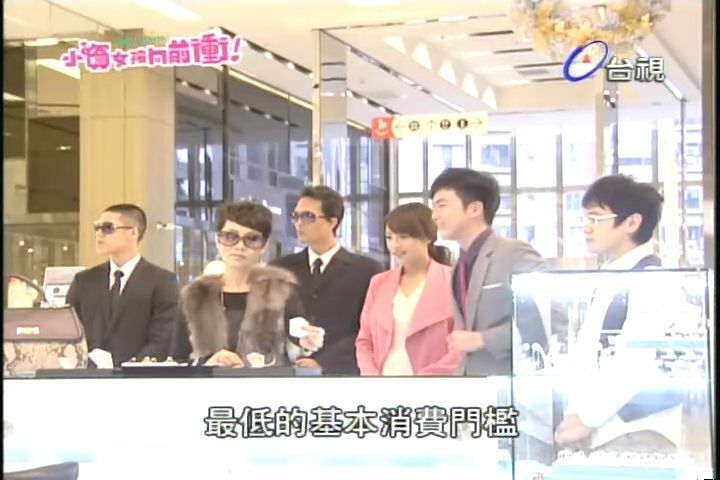 A super rich lady walks through Jing Shi Department store. Stallone goes to welcome her and she proceeds to go on a spending spree. Xing Ren and Zi Qi are called out as reinforcements and Zi Qi looks annoyed when he sees the rich lady, who admires him and specifically requests Zi Qi assist her. When Zi Qi carries her purchases back to her hotel room, she asks for a hug, and he asks his mom why she’s suddenly back in Taiwan. Mom is upset that her ex-husband is making Zi Qi work his way up from the bottom. Zi Qi is now longer annoyed and has decided he will win in this battle with his dad. He tells his mom not to interfere. Fat chance of that happening. Xing Ren does laundry and finds Kai Er’s earring in Zi Qi’s pocket. 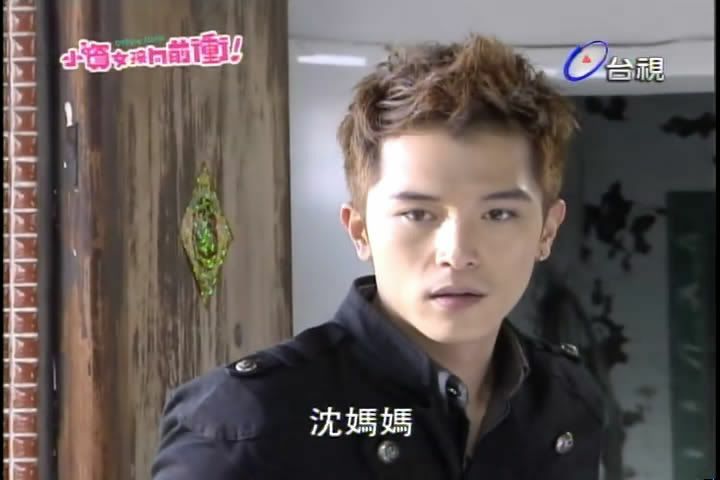 Le Le sees it and goes downstairs to confront Zi Qi on behalf of Xing Ren. Zi Qi has no clue where the earring came from and who it belongs to. Le Le thinks he’s cheating on Xing Ren but Zi Qi calmly says he’s not. Xing Ren is flustered but still believes him. Xing Ren returns the earring to Kai Er, who lies that she was cold and borrowed Zi Qi’s jacket the other day, which is when the earring probably dropped into his pocket. Zi Qi’s mom goes to annoy his dad about making Zi Qi an executive immediately, but President Qin stands his ground and refuses. 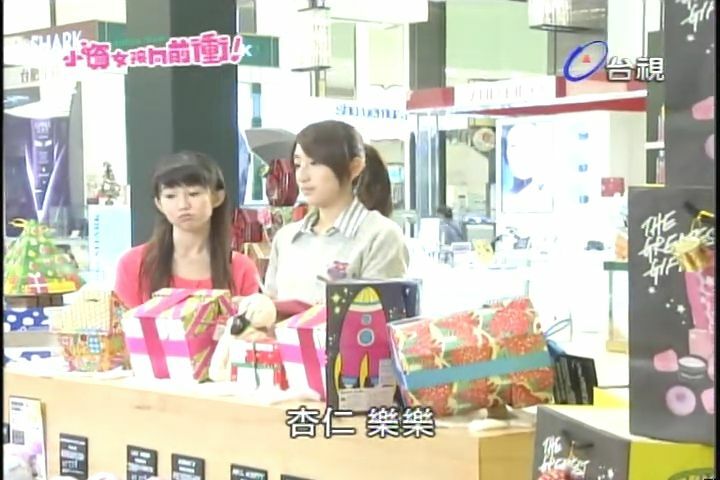 Zi Qi’s mom requests Zi Qi assist her again when she’s shopping so she can have excuse to talk with him. When Xing Ren goes to bring Zi Qi to a meeting, his mom is dismissive of her. Zi Qi shoos Xing Ren out and then tells his mom that Xing Ren is his girlfriend and he likes her very much. He doesn’t want his mom disparaging Xing Ren. Mom is stunned but Zi Qi politely thanks her for shopping at the department store and then walks away. Xing Ren has this weird feeling that Zi Qi and the rich lady know each other, but when asked, Zi Qi cannot tell the truth so he continues to lie that he doesn’t know the lady other than helping her shop. 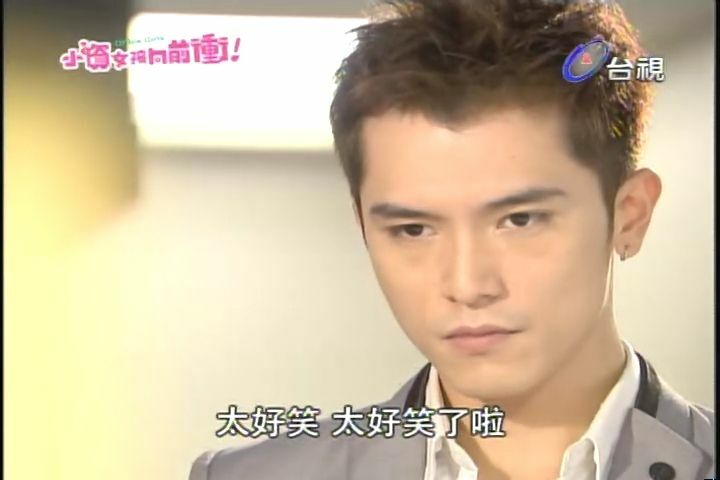 Le Le tells Xing Ren to worry about Kai Er, who everyone can plainly see is not over Zi Qi and plotting to still get him. Le Le tells Xing Ren to wake up and stop being so stupid and naïve. 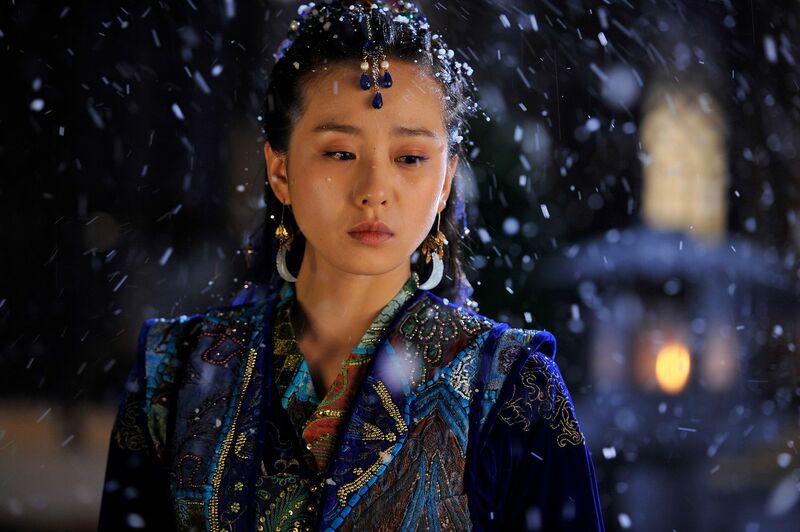 Kai Er notices Zi Qi’s mom is back after seeing her in a meeting with President Qin and then later talking to Zi Qi. When Zi Qi’s mom is doing yoga, Kai Er purposely starts small talk and makes nice with Zi Qi’s mom, who invites her to tea later. 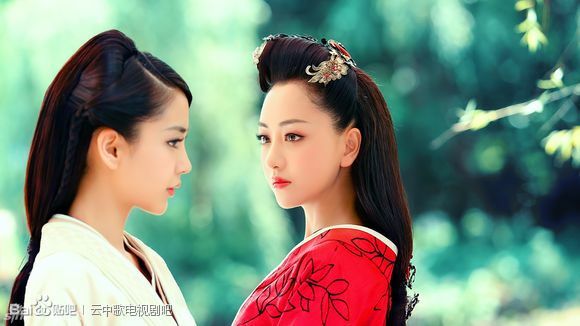 Great, the two witches can become BFFs and then fly off somewhere and never bother Zi Qi again. 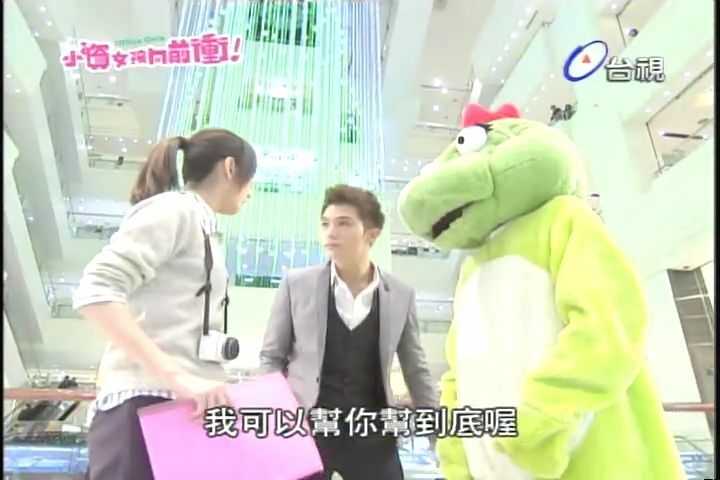 Xing Ren is still frustrated, so when she sees the dinosaur dancing on the department store floor, she thinks it’s Zi Qi and smacks him for wasting time during work. Which is when Zi Qi appears and smacks the dinosaur, too, leading Xing Ren to apologize for smacking some random person in a dinosaur outfit. 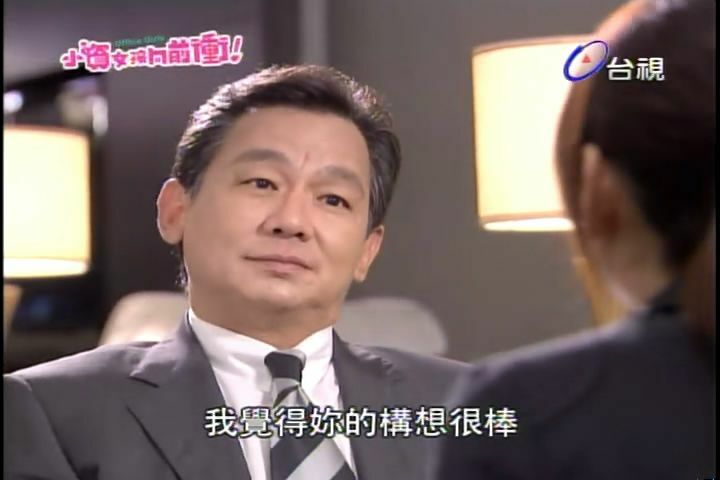 Zi Qi meets with his dad and confirms his desire to continue their bet. Both confirm that they have no desire to let Zi Qi’s mom interfere. President Qin hopes Zi Qi will beat him, and Zi Qi confidently vows that he will win. aweeee…only a baby recap lol…that’s okay, i don’t blame you for a baby recap cause the drama needs to wrap up soon. thanks for your work! Yay! Well I’ll settle for a baby recap any day. I actually stopped watching it since I’m annoyed about what’s been going on so at least in this way I still know what’s going on. I’m sad to read about how they’re falling for Kai Er’s tricks again. I hope they’ll wrap up the story leaving all of us satisfied. Part of why I enjoyed Office Girls was because of the moments between Zi Qi and Xing Ren but lately that’s being tainted by Kai Er. Ms. Koala, you are my Christmas angel! Haven’t even read it yet but just the first few lines of this entry that you were kinda giving in to the request for baby recaps, and since you’ve always said you only write when you want to and not give in to demands from readers… i’m just — thank you thank you thank you… me grateful. will read the rest of the recap now. love love love! Oh thank you, Ms Koala, for this baby recap, well done! 😉 I still love this drama but I fear that two witches, Kai Er and Zi Qi’s mum, will ruin the Christmas night to our cute couple. I wish to see again their sweet and lovely moments! 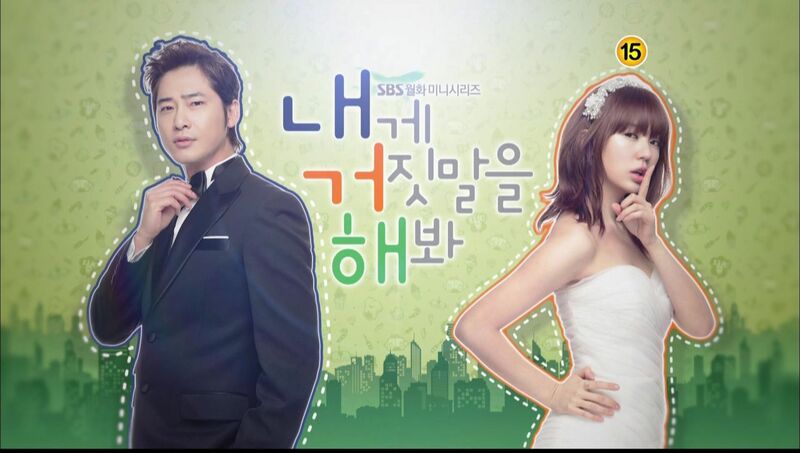 Anyhow, Viki has this at 20 episodes. Is that correct? Why do I keep thinking they were doing an extension of this? If it is only 20, then they got some wrapping up to do in the next two weeks. I’ll be so sad when this is over. Zi Qi and Xing Ren have become favorite characters of mine. Thank you for the baby recap! Yay, thanks for the baby recap! I laughed so hard when Xingren was hitting the person in the dinosaur costume and then Ziqi pops up. It’s scenes like those that make me love OG.